A high-precision themocouple built directly into the tip, making them capable of detecting temperature fluctuations so that they can quickly be countered. 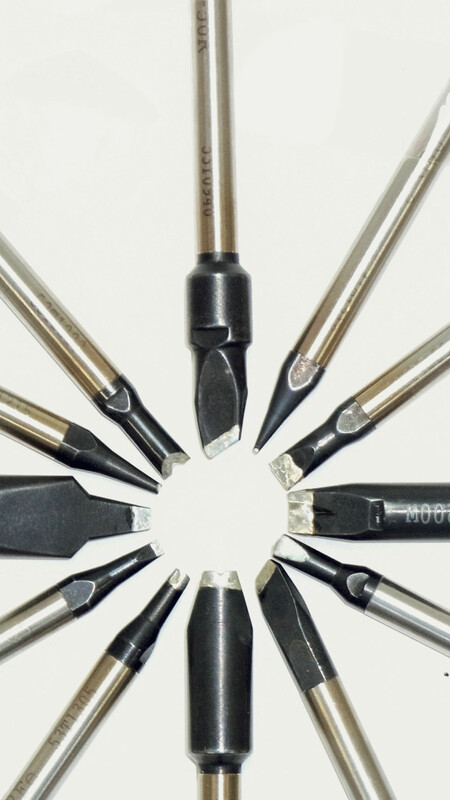 Our patented One-Touch-Quick-Change technology, allows cartridges to be changed in just 8 seconds without the worry of tools or tips having to be re-aligned after replacement. A built-in nitrogen nozzle which saves space and allows for nitrogen to be applied directly to the target location. If you are looking for a tip variation not listed below, please ask about our custom-cartridge service and we will happily get you what you need. For more technical information, reach out via our "Contact Us" page, or request a copy our free information packet/catalogue.